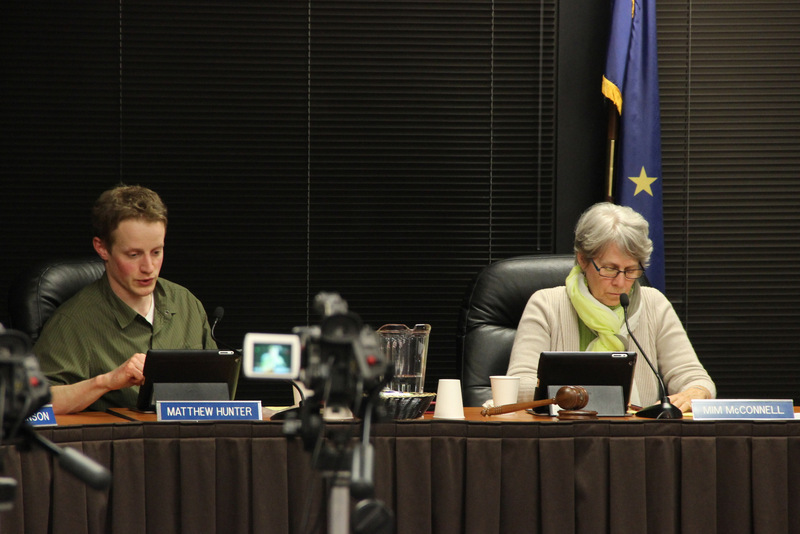 The Sitka Assembly voted to increase the sales tax cap from $1,500 to $3,000 during a marathon meeting on Tuesday night (5-12-15). The increase is part of an effort to raise an additional million dollars for Sitka’s school system — and the vote came despite passionate objections from charter fishermen. The average three-day charter fishing package in Sitka costs about $2500. That means it falls squarely within the range of the new, increased sales tax cap. And the new cap will go into effect on July 1 – which is square in the middle of the charter fishing season. And that is the problem. Ann Wilkinson does invoicing for several charter operators. She said most sell their packages months in advance. That’s the $60 more in sales tax that would be due on a $2500 fishing package. For a four-day package, which might cost about $3000, the increase would amount to about $90. Charter operators said they can’t demand more money from customers after the price has already been agreed upon. Bone was one of nearly a dozen people from the charter industry who lined up to testify against raising the sales tax cap. They called it too steep and too sudden. Many said they were resigned to the increase itself, especially to fund schools, but asked that it go into effect after this fishing season, so they could build it into their pricing. But mostly, they said, they feel singled out. Mike Trotter, of Baranof Wilderness Lodge, agreed. Trotter said the cost of schools should be share equally by all citizens. Assembly members said they aren’t targeting anyone — and indeed, charters hardly came up when the ordinance originally passed on first reading. Michelle Putz said the city’s options are just limited. The school district needs an additional million dollars this year, to avoid major teach layoffs. And options like raising property taxes, or increasing the summer sales tax would have to go to a vote. That money might not be available for years. But the assembly can raise the sales tax cap on its own, and the city estimates it would bring in about $400,000 towards their goal. That’s the bottom line, Putz said. As a compromise, Deputy Mayor Matt Hunter proposed exempting any sales in which the price was already agreed upon before the new ordinance passed. But city staff warned that would be unenforceable. At this point in the meeting, commercial fisherman Eric Jordan marched up to the podium. And in the end, the assembly seemed to agree. The vote to exempt sales failed, by a vote of 3 to 4. Steven Eisenbeisz summed up the feeling at the table. Eisenbeisz ended up voting against the ordinance. But he was in the minority, along with Aaron Swanson. The assembly voted to raise the sales tax cap, 5-2. The Assembly postponed two other tax measures: one would have doubled the tobacco tax; the other would put a ballot measure before voters to increase the summer sales tax from 6- to 7-percent. Assembly members said they wanted to consider other options – including a potential property tax increase — before making a final decision on either. The Assembly also approved a long-term lease at the Gary Paxton Industrial Park with Alaska & Pacific Packing, which plans to manufacture fish processing equipment. We’ll have more on those stories tonight, on Raven News. You can find more assembly coverage here.